Carpet One Floor & Home in Gainesville is your one-stop-shop when it comes to carpet. We offer one of the area’s largest selections of quality carpets, and we also offer a few different services (including design and installation) to make sure that you enjoy your new carpet for years to come. Let our experts help you make the perfect choice for your residential or commercial setting. In order to help you find the best carpet for your home we use the unique Select-A-Floor™ system. This system allows us to help narrow down your carpet selection based on your lifestyle, personal style, and even desired warranty level. We have carpets that are stylish, carpets that are made with pet owners in mind, and many more. Carpet is popular in residential and commercial settings, but depending on your desired setting, there are certain factors you must take into consideration. In residential settings, for example, style and comfort tend to be more important, but if you have children and pets, durability will be paramount. We recommend berber carpet in residential settings because it’s extremely versatile in terms of design and performance. For extra durability, frieze carpet is more practical, but if you value style and softness above all take a look at our collection of shag carpets. Learn more about the different types of carpet we offer. Carpet is made up of fibers which are twisted into piles. Fibers play a role in the style, durability, and overall look of the carpet. Fibers can be natural or synthetic. Our collection of synthetic carpet fibers includes nylon, polyester, olefin, and triexta. Types of natural fibers include wool, and rugs can be made from sisal or jute fibers. Most synthetic fibers are treated to be stain resistant, and natural fibers like wool are natural allergy friendly. Carpet is known for its comfort qualities, which makes it a great option for places around your home including bedrooms, living rooms, and dens. We offer stain resistant carpeting that can be installed in heavily used areas around your home such as children’s playrooms, hallways, and on staircases. We even offer waterproof carpeting that is perfect for basements. We also help you with carpet installation. If you are looking to add carpet to a commercial setting, make sure you consider foot traffic and the potential for spills and various impacts. Commercial carpet tends to be more rugged and harder than residential carpet, as it is built to handle whatever life has to offer. Carpet tiles are popular in commercial settings because, although they have a real carpet construction, they are tough and strong. As part of our carpet selection, we have exclusive brands such as Tigressá® and Relax, it’s… Lees®. Plus, we are happy to be an authorized Karastan carpet dealer. Not sure which carpet will fit your design? Our interior design team will help you make the perfect choice for your desired setting. Whether you want an intricate design or something simpler, we’ve got you covered! 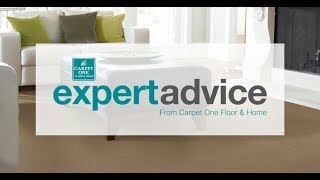 There are a lot of carpet options available, so let our carpet experts help you make the best choice. Our team of installers will install any new carpet that we sell. Learn more about carpet installation. Prevent fading and stains by following our carpet maintenance tips. We're here to help.